The LA-based comedian has been featured on Just For Laughs Digital, Viceland's Flophouse and NPR's "All Things Considered" with Roy Wood Jr. His voice will also be heard on Season 6 of Bojack Horseman, on Netflix. 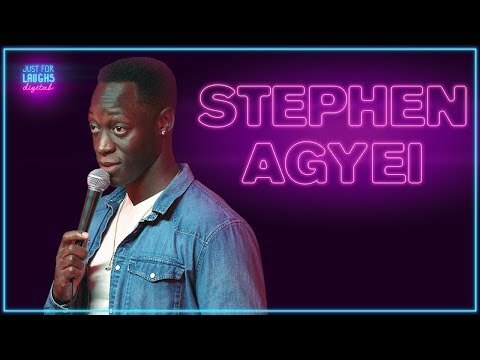 Agyei has performed at many festivals including Bridgetown Comedy Festival, High Plains Comedy Festival, Limestone, Great American, Laughing Devil, Westside Comedy Festival and many more. Stephen has also toured internationally in South Korea, and was hand picked by Duncan Trussell to open for his most recent "I am God" tour. He made a promise to never run for president... Come see why!